Echo Village has seen better days... Just as you've moved in, almost everyone else has moved away to greener pastures. It's your job to bring everybody back by making the town appealing again, and giving Echo Village a new beginning! Customization is King! For the first time in the Harvest Moon series history, you can completely customize your character's appearance! Choose your character's gender, skin color, facial expression, hairstyle, and much, much more! Don't like where your crops and barn are on your farm? Just pick them up and move them! 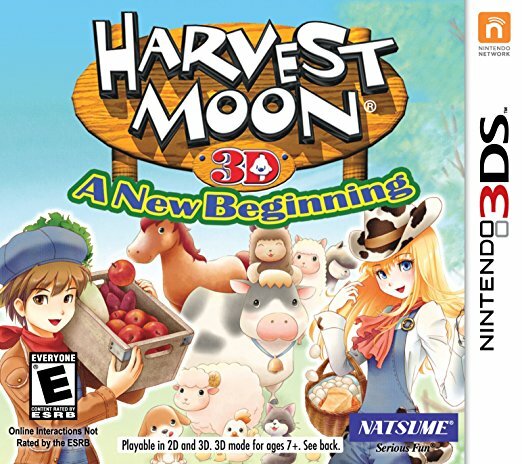 It's really that easy to customize your farm in Harvest Moon - A New Beginning. Create tons of new additions for your farm, house, and Echo Village! Build park benches and topiary for the local citizens, a pet house for your farm, and exotic wallpaper and furniture for your house!